Marriott Bonvoy is the world’s largest hotel loyalty program, managing over 6,700 hotels after unifying the former Marriott Rewards, Ritz-Carlton Rewards, and Starwood Preferred Guest programs. Many features mirror those of Marriott Rewards. However, the company has taken on some popular aspects of Starwood Preferred Guest including enhanced recognition of top-tier elites and easy transfers to dozens of airline loyalty programs. In general, you will earn 10 base points per dollar at 25 of Marriott’s 31 brands (or “flags”). Three additional brands earn only 5 points per dollar; these are Residence Inn, Towneplace Suites, and Element. Two additional brands earn only 2.5 points per dollar; these are Marriott Executive Apartments and ExecuStay. The total number of points you earn will be augmented by bonus points for elite status, promotional bonuses, and any credit card rewards. Silver Elite members earn a 10% bonus (11 points per dollar total), Gold Elite members earn a 25% bonus (12.5 points per dollar total), Platinum Elite members earn a 50% bonus (15 points per dollar total), and Titanium and Ambassador Elite members earn a 75% bonus (17.5 points per dollar total). Finally, Marriott Bonvoy has several co-branded credit cards that are issued in partnership with Chase and American Express. These are discussed in more detail below. Marriott Bonvoy is a popular program in part because it offers so many redemption opportunities. Right now the program is in flux as it combines award charts from three former programs as well as a mix of other features. PointsSavers awards are slightly discounted from the normal free night awards. You might save between 1,000 and 10,000 points per night depending on the award category. However, PointSavers awards are only available on select dates at select hotels. Check out the Marriott PointSavers page to learn more about which hotels participate in this program. Cash + Points awards allow you to book award nights with a mix of cash and points. Unlike World of Hyatt and Hilton Honors, this is not a 50/50 split between points and whatever the nightly rate happens to be. The points portion, yes, is half of the normal free night award cost, but Cash + Points awards have a specific cash portion that is always the same. Be sure to check the normal cost of booking the hotel with cash, as well as the cost of just buying extra points. It might not be worth using a Cash + Points award in all situations. Cash + Points awards follow the same Standard, Peak, and Off-Peak pricing model that free night awards use. However, Cash + Points awards may have more limited availability than typical free night awards. As under the old Marriott Rewards and Starwood Preferred Guest programs, it’s still possible to get the fifth award night for free when booking a stay of five nights or more. This is effectively a 20% discount. Book 10 nights and you’ll get two nights free. However, the fifth night free does not apply to Cash + Points awards. You can book award travel even if you don’t have enough points in your account. This is advantageous if you are trying to secure nights at a hotel that has limited availability. You’ll need to select an option to use this feature during the booking (and you can use it even if you have enough points in the account). Marriott will book the stay for you and issue an IOU. However, you must revisit your reservation later once you finish earning the necessary points for your stay. Choose the option to “view/modify” your reservation and deduct the remaining balance from your account. This should be done at least 14 days before your check-in date to avoid canceling the reservation. There are seven Marriott credit cards issued by Chase or American Express with an eighth on the way. Many of these cards recently had their names changed to align with the new Marriott Bonvoy branding. A further benefit is that all cards will begin offering credit for 15 elite nights, making it that much easier to earn a higher elite tier. Although both Chase and American Express continue to issue new cards, they have split their marketing to focus on different customer segments. Chase will target the consumer market with no-fee and premium cards, and American Express will target the high-end consumer and business markets with super-premium and business cards. Any previously issued cards will continue to be serviced even if they are not issued to new customers. There are reports that Chase will be offering a new credit card sometime in mid-2019 with no annual fee, targeting the entry-level consumer market. The Boundless card is a rebranding of the former Marriott Rewards Premier Plus card and will keep its $95 annual fee and most other benefits. Cardmembers earn 6X points per dollar at Marriott properties and 2X points everywhere else. Members receive automatic Silver Elite status, with the opportunity to earn Gold Elite status after spending $35,000. Each year you’ll receive a free night award for a property with a redemption level up to 35,000 points. The Premier Plus Business card is essentially the same as the current Marriott business card from Chase, but it is no longer offered to new customers as American Express takes over that market. This card will be closed to new applicants after February 12, 2019. Benefits are similar to the Boundless card from Chase, which is why only one will be offered going forward. The Brilliant card is the former Starwood Preferred Guest Luxury Card from American Express. This super-premium card has a $450 annual fee and earns 6X points per dollar at Marriott hotels, 3X points at U.S. restaurants and flights booked directly with airlines, and 2X points everywhere else. The main reason for the high fee is that the card includes several valuable discounts such as a $300 statement credit for Marriott purchases, Priority Pass access, a credit for Global Entry or TSA PreCheck applications, and a $100 credit on select rates at Ritz-Carlton and St. Regis properties. It also comes with Gold Elite status and the opportunity to earn Platinum Elite status after spending $75,000. Each year you’ll receive a free night award for a property with a redemption level up to 50,000 points. The new business card is very similar to the original business card, but the annual fee is increasing to $125. Along with the higher fee are some extra benefits such as a second free night award when you spend $60,000 (the first one is already included with the annual fee). This card earns 6X points per dollar at Marriott hotels; 4X points at U.S. restaurants, shipping companies, gas stations, and telecommunications; and 2X points everywhere else. Marriott Bonvoy has five elite tiers: Silver Elite, Gold Elite, Platinum Elite, Titanium Elite, and Ambassador Elite. The only way to earn elite status is with qualifying elite nights. Elite nights include both paid and award stays but do not include stays booked through a third-party travel agency like Expedia or Orbitz. Benefits with Marriott Bonvoy are rather erratic. On one hand, many perks are guaranteed, which is uncommon in the hotel industry. 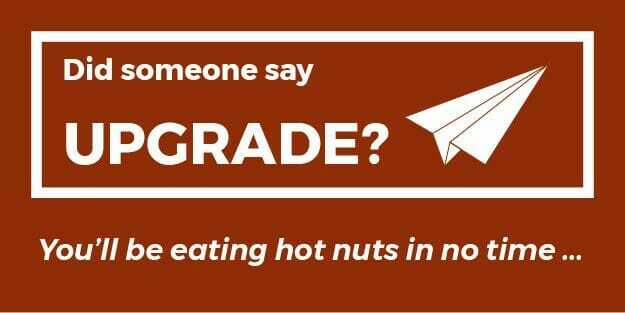 You’re not just promised an upgrade that “may include” a suite if the hotel feels like it. You’re actually promised a suite upgrade as long as one is available; the hotel’s opinion on the matter is irrelevant. Failure to provide some benefits can result in points or cash compensation. On the other hand, Marriott has a poor track record on delivering the benefits it promises, and it has become even worse with the confusion since the merger with SPG. Complimentary breakfast is offered to Platinum, Titanium, and Ambassador Elite members at most hotels. It may be a perk for all customers at some limited service and extended stay properties, it may require choosing a food and beverage credit at the expense of some other elite benefit, or it may be included in the restaurant or lounge as an additional park. However, these properties do not provide any form of breakfast: Design Hotels, EDITION, Gaylord, The Ritz-Carlton, Marriott Executive Apartments, and Marriott Vacation Club. Choice benefits are offered to Platinum, Titanium, and Ambassador Elite members when they achieve 50 or 75 qualifying nights. Each opportunity offers a choice of 5 suite night awards (which can be redeemed for a confirmed, advance upgrade of one night) or various other gifts. Past gifts have included additional credits toward a higher elite tier, the ability to gift elite status to another person, a free night award, or a discount off the purchase of a hotel bed. Marriott Bonvoy and United MileagePlus have a partnership called RewardsPlus that enables customers of either program to receive reciprocal elite status and other benefits after linking their accounts. The main benefit here is a 10% bonus when transferring Marriott Bonvoy points to United Mileage Plus. Existing MileagePlus Premier Gold members can also receive Gold Elite status with Marriott Bonvoy. Conversely, existing Marriott Bonvoy Titanium and Ambassador Elite members can receive MileagePlus Premier Silver status. (There are no status matches for other tiers.) Silver status with United Airlines includes some basic perks like a free checked bag and free access to Economy Plus seats if any are left at check-in. Interestingly, Marriott Bonvoy will let you earn lifetime status in its three lowest tiers (Silver, Gold, and Platinum) but not with its two highest tiers (Titanium and Ambassador). I say this is interesting because most other programs only allow you to earn lifetime status with the highest tier. Requirements for elite status include a mix of qualifying elite nights and years of status at that tier or higher. You may have met one of these requirements and not the other, but you must meet both to receive lifetime status. Because you cannot earn lifetime Titanium or Ambassador Elite status, even a lifetime Platinum Elite member will miss out on perks like a higher 75% bonus on points earned, a dedicated Ambassador, upgrades at The Ritz-Carlton, and Your24 check-in/check-out flexibility. Lifetime Platinum Elite members also do not receive the annual Choice Benefits unless they actually complete 50 elite nights that year (i.e., earn status the normal way). There are a number of options to transfer points from your account to the account of another Marriott Bonvoy member or to an external airline loyalty program. These are some of the most popular program benefits, and there are people who earn Marriott points with a credit card who never redeem them for a hotel stay. You can transfer up to 100,000 points per year to another Marriott Bonvoy member. Conversely, you can also receive up to 100,000 points (so you can’t receive multiple 100,000 transfers from several people). This is an increase from the previous cap of 50,000 points per year. It is fairly easy to request a transfer over the phone, and in my experience the two account balances are updated instantly. The former Marriott Rewards and Starwood Preferred Guest were popular for transferring hotel points to a variety of airline loyalty programs, so it’s no surprise that this feature has continued under Marriott Bonvoy. Points transfer at a ratio of 3-to-1 for most of the 40+ programs that Marriott partners with. However, you get a 25% bonus when you transfer 60,000 Marriott points at once. This means 60,000 Marriott points result in 25,000 airline miles with most programs. Always transfer blocks of 60,000 points if you can. You’ll receive a further bonus of 10% when you transfer any number of points to United MileagePlus as a result of the RewardsPlus partnership. This means 60,000 Marriott points are equivalent to 27,500 United miles. Although there is no annual cap on transfers, there is a daily cap of 240,000 Marriott points. I am not a fan of transfer to airlines since I get plenty of value through hotel redemptions. But if I were going to transfer points, I’d prefer to use Marriott Bonvoy instead of the many other hotel loyalty programs. Marriott has a large number of partners and relatively good exchange rates. Marriott also lets you transfer odd numbers of points to get exactly the number of miles you need rather than transferring fixed blocks of 1,000 points or more.